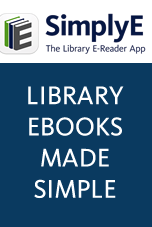 Learning Express is now part of EBSCO. LearningExpress Library is an innovative, Web-based learning solution that provides patrons, from elementary students to adult learners, with instant access to the most comprehensive collection of test preparation tools, skill-building materials, and career resources available. Over 1,000 online practice tests and interactive skill-building tutorials are available, along with more than 200 eBook titles-all developed by expert academic and industry professionals. Best of all, students, teachers, and adult learners alike can access their learning centers anytime and anywhere with an Internet connection. A powerful and complete career selection and job search tool is now available, to change the way individuals search for jobs. Introducing Job & Career Accelerator™ from LearningExpress-the most innovative, comprehensive, and fully integrated online job search system available. It puts job seekers in the driver's seat and on the fast track to career success! Job & Career Accelerator™ places everything needed for career selection and job searching in one easy-to-use Web application, and is unlike any career search tool that has come before. Anyone who wants to stand out from the competition, advance in his or her career, or discover exciting new employment opportunities will find everything needed to achieve these goals, all in one resource that adapts to individual needs. LearningExpress Popular Software Tutorials provide patrons with a solid proficiency in software applications, helping them navigate and excel in today's information age. Computer aptitude is a critical component of the 21st century skill set, and an indisputable necessity for workplace success. With instant access to today's most popular software applications, this comprehensive suite of tutorials gives users the necessary tools for gaining a competitive edge in today's fierce global economy and workplace environment. Computers and the Internet have become a vital part of everyday life, from finding information and staying in touch to searching for jobs and shopping online. Surprisingly, many lack the essential computing skills needed to carry out the most basic tasks. LearningExpress' Computer & Internet Basics break down computing fundamentals into easy-to-follow multimedia tutorials, allowing patrons to learn how to use computers and get online quickly and easily.